Our world-class web-based courses and workshops are designed, developed and delivered by experienced Obstetricians and Gynaecologists, who have a specific qualification in medical education. We have been running these courses since 2011 with an average of 90-98% pass rate. Our pioneering approach to long- preparatory courses for MRCOG exam stands out from other courses in more than one way. Our courses are equally popular among candidates sitting for MRCPI, EFOG and other equivalent board exams in the speciality of Obstetrics and Gynaecology. It is always a crucial and important decision to pick the right course for your exam preparation. Our unique features provide an additional level of satisfaction amongst our students, adding value to their experience. BeMRCOG is so far the only CPD accredited source for MRCOG exam preparation other than StratOG. 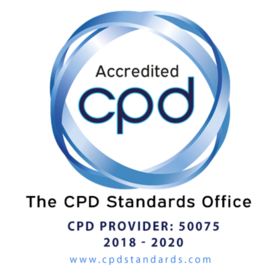 Our CPD credits are accepted internationally and hundreds of students have availed these credits for their licences and revalidations to practice. We offer a multitude of support services at BeMRCOG namely technical support through an attentive and friendly helpdesk, study support through individualised supervision and mentoring, course selection support through student support services, grievance support through debriefing meetings and professional support for doctors facing difficult emotional and psychological situations. We offer a variety of web-based courses and workshops for non-UK based candidates, utilising state of the art technology. Tailor-made solutions are offered to each student. The teaching at BeMRCOG is 100% learner-centred. A number of learnings and teaching strategies are offered to make the experience interesting and beneficial e.g. one-to-one learning, interactive real-time online workshops, small group teaching etc. Every e-course, workshop and one-to-one learning is accessible to the students right from the comfort of their home. We recognise that every person is an individual with unique needs and this philosophy underpins the design of our courses. Working together with the students, we design study plans and schedule follow-ups according to their needs and convenience. Students have the option to either take self-study or supervised courses according to their preferences. The supervised courses are long-term subscriptions to accommodate changes to students’ circumstances. Our strategic aim is to work together for success to produce tomorrow’s medical leaders. We strive to achieve this delivering a high-quality learning experience, making long-term behavioural changes in our learners. Our vision extends beyond passing the MRCOG exam. We have successfully instilled a high level of professionalism among our students. We manage our students’ expectations with honesty, respect and integrity, creating a long-lasting impact on their professional and personal lives.